We've seen lots of Portal cakes floating around the Internet. Usually with expected taglines of "the cake is a lie." But this cake is absolutely exceptional, and it's certainly not a lie. 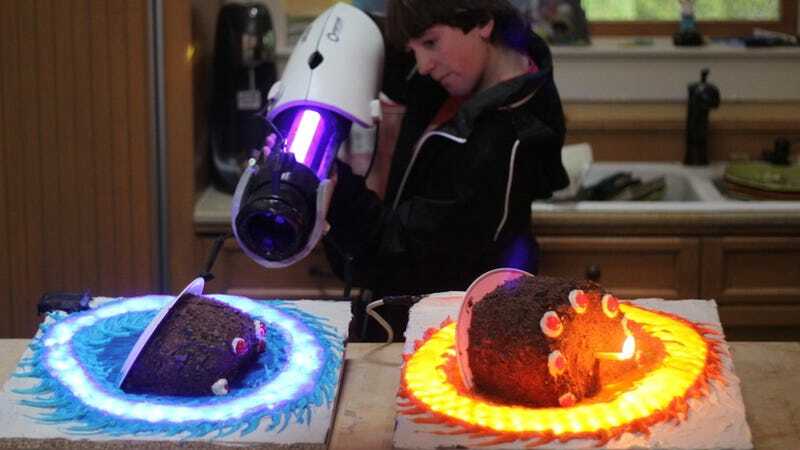 It's not often you find the famous Portal cake caught in the never-ending bounce between portals, a fun activity for both baked goods and quirky robots. If you look closely you can see that the portals themselves are made out of what looks like LED lighting. That part is certainly not edible. Don't eat that part.